One of the requirements for the next generation of small-molecule crystallographers is a mathematical programming infrastructure. It should provide a modelling design process, where the model formulation is kept separate from the optimization process to provide gains in reliability, scalability and extensibility, enabling the application of optimization components in general, and refinement-based applications in particular, as applied to crystallographic problems. A research project has been undertaken to design and implement an innovative toolkit library – a small-molecule toolkit (SMTK) – for crystallographic modelling and refinement. This paper provides an overview of SMTK and its object-oriented implementation. As a practical illustration, it also shows the context of use for a set of classes and discusses how the toolkit enables the user rapidly to develop, maintain and explore the full capabilities of crystallography and so create new applications. SMTK reduces the degree of effort required to construct and develop new algorithms and provides users with an easy and efficient means to test ideas, as well as to build large and maintainable models which can readily be adapted to any new situation. 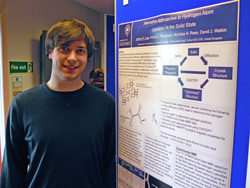 Congratulations to Dr David Watkin who received an award under the Oxford Teaching Awards scheme for excellence in teaching as attested by student feedback and with the support of the department. He received a certificate presented by Professor Andrew Hamilton, the Vice-Chancellor of Oxford at Rhodes House. The Oxford Teaching Awards scheme, co-ordinated by the Oxford University Learning Institute, recognises outstanding contributions award winners have made to teaching and learning at Oxford. Molecules with large planar π-systems show a strong tendancy to aggregate due to π-π interactions. 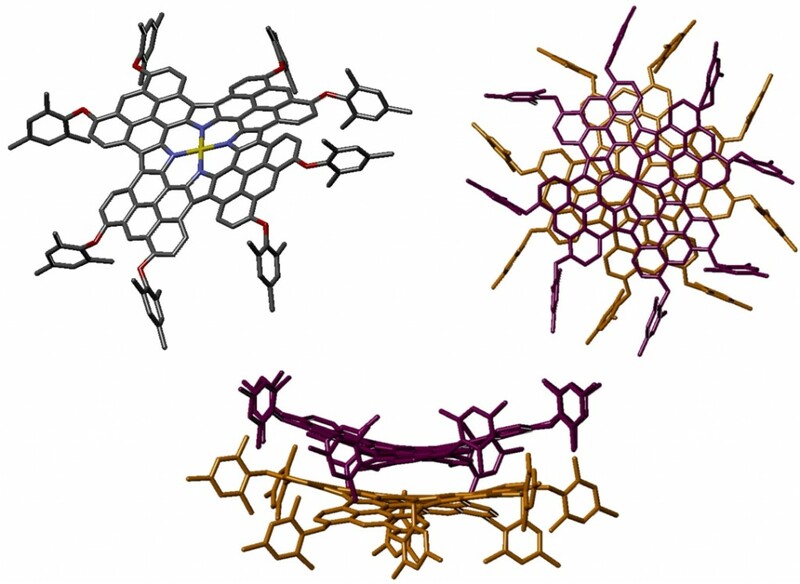 This tetra-anthracene-fused porphyrin forms dimers with the molecules twisted with respect to each other. Bulky aryl groups were necessary for characterisation, but prevent the porphyrins from forming longer stacks in the crystal. Using long alkyl chains instead could yield systems which form longer π-stacked arrays which may form discotic liquid crystals. Furthermore, as the porphyrins stack with a near-zero horizontal offset, these have potential as light harvesting arrays since the alignment of the chromophores provides an efficient pathway for holes and electrons along the column.